Whether you need to refresh your home, add to a blank wall, or create an exciting environment for your child, this is the giveaway that will make it happen. Art work, lights, decals, and organization all brighten up that special space! 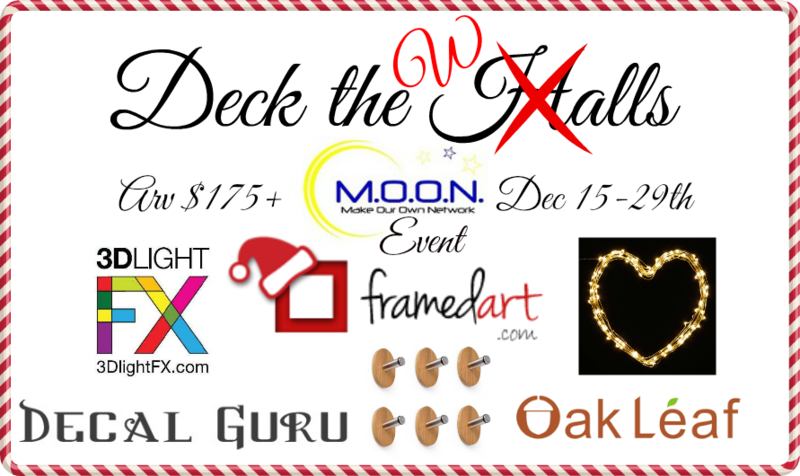 So Deck the W/Halls and enter to win another awesome M.O.O.N. giveaway! This giveaway is open to the Continental US only (because of shipping costs) and will end on December 29th, 2015. Good Luck!! I'm really excited about the solar string light! I think it would be the perfect way to spruce up my boring balcony! I am most excited about the Minion Lights! My nephew is obsessed with Minions. If I win he will be getting the Minions. I really think that the solar string of lights is really cool! 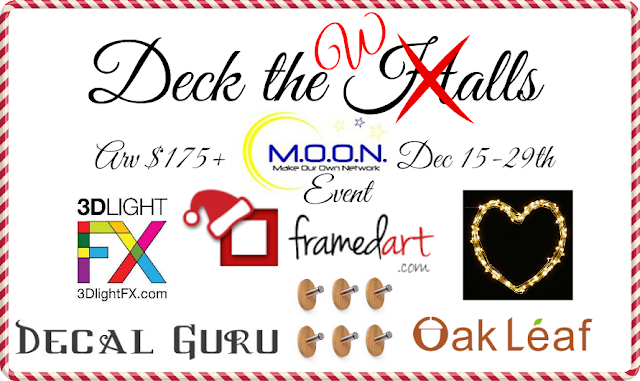 I'm super excited about the Decal Guru gift code. My sister-in-law is opening her own hair salon and was looking at getting some decals. My youngest son is Mommies Minion, I would LOVE to have the Minion lights.